Nilgiri Pipit is a globally threatened bird endemic to the Western Ghats. It is mainly found in the green grasslands of this mountain range in south India. Exif- f/5.6, 1/640s, ISO 160, 440mm, Nikon D7100, AF-S 200-500mm f5.6E. Date- Aug 9, 2016. Location- Munnar, Idukki, Kerala. Splashing water after a bath. All these photos are from Munnar Lakshmi Hills on the same day. I first spotted and photographed this bird from here. 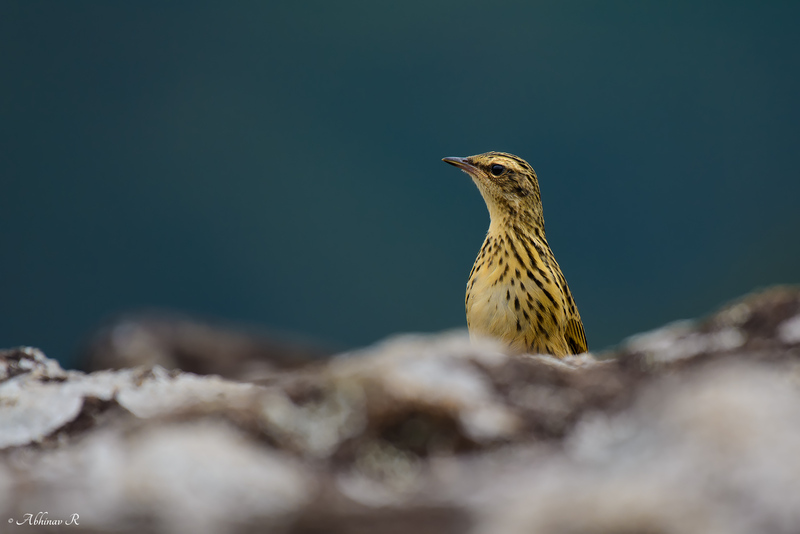 There was a pair of Nilgiri Pipits on top of the hill. The birds were bathing on the water collected on a small hole after rain. We were on a trekking and doing some casual birding. Before this pair, we had also encountered another individual while trekking our way upwards. Appearance: The plumage is mainly brown-yellow in color. It is heavily streaked, especially the upper side including wings. 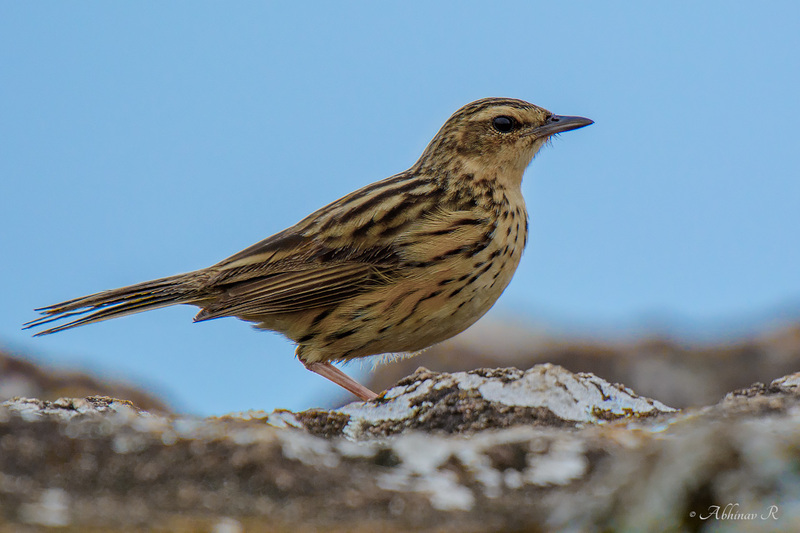 So it is easy to distinguish it from other pipits like Olive-backed Pipit. Size: Less than 15 cm. 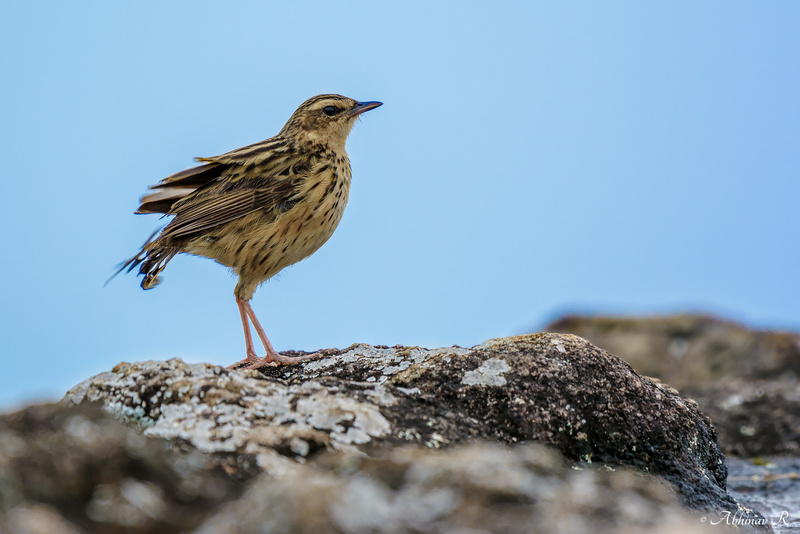 Distribution and Habitat: Nilgiri Pipit is resident endemic to the montane grasslands of the Western Ghats (Sahyadri). Nilgiris, Palani Hills and areas around Munnar are some places where this bird inhabits. Sometimes found on the ground or on the rocks.